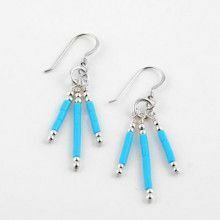 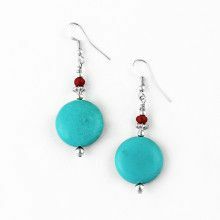 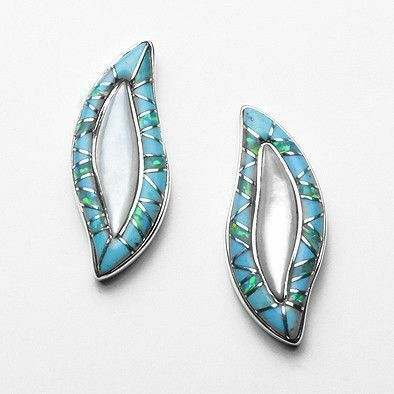 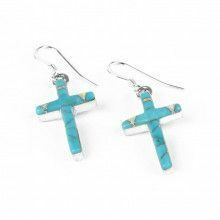 This lovely pair of earrings features sterling silver with an inlay of turquoise with mother of pearl in the center of the earring. 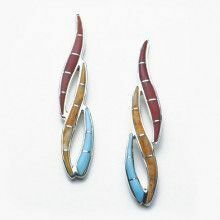 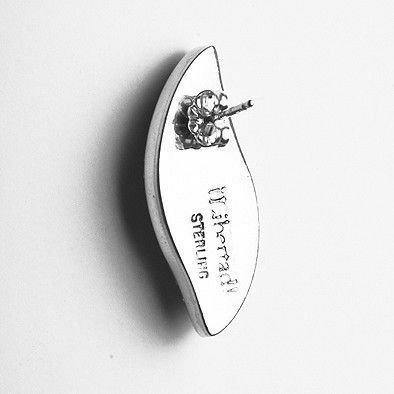 The earrings feature sterling silver studs and measure Approximately 1 1/4" long by 1/2" wide. 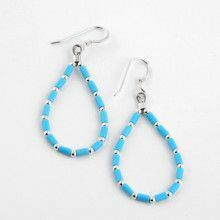 Measures: 1 1/4" x 1/2"